Players need to use their eagle eyes to match an item on their card to an item that is also on their game board. Be the first to find it and ring the bell to win the round. There are four double sided game boards to choose from and 30 cards featuring several items on each so there is plenty of matching fun to be had! Items to match include letters, shapes, vehicles and animals as well as many everyday objects. 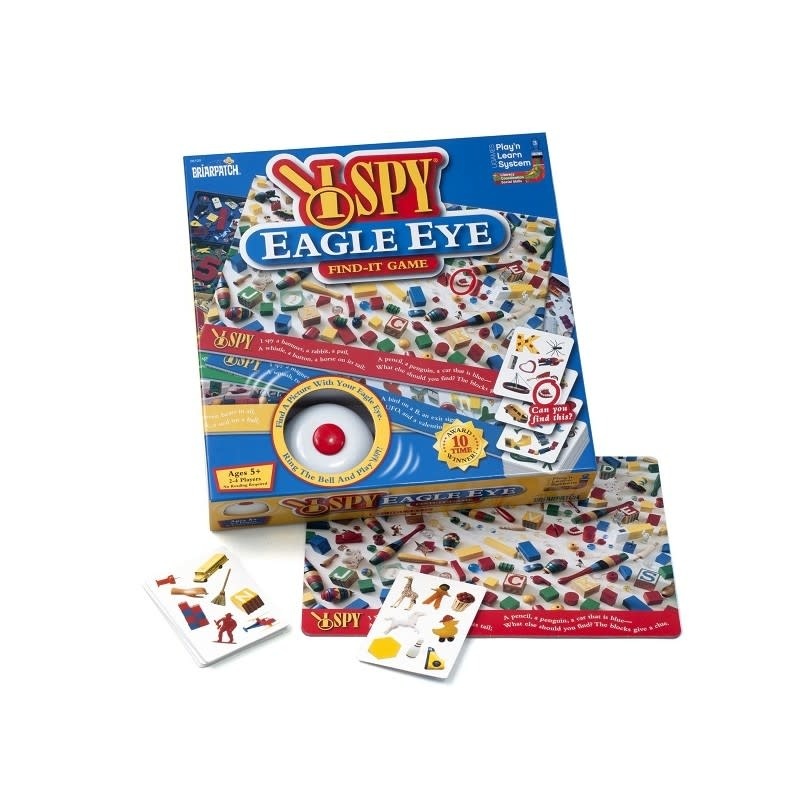 The I Spy range of games combines beautiful photographs and familiar objects in a fantastic brain teasing game that both children and adults cannot resist. 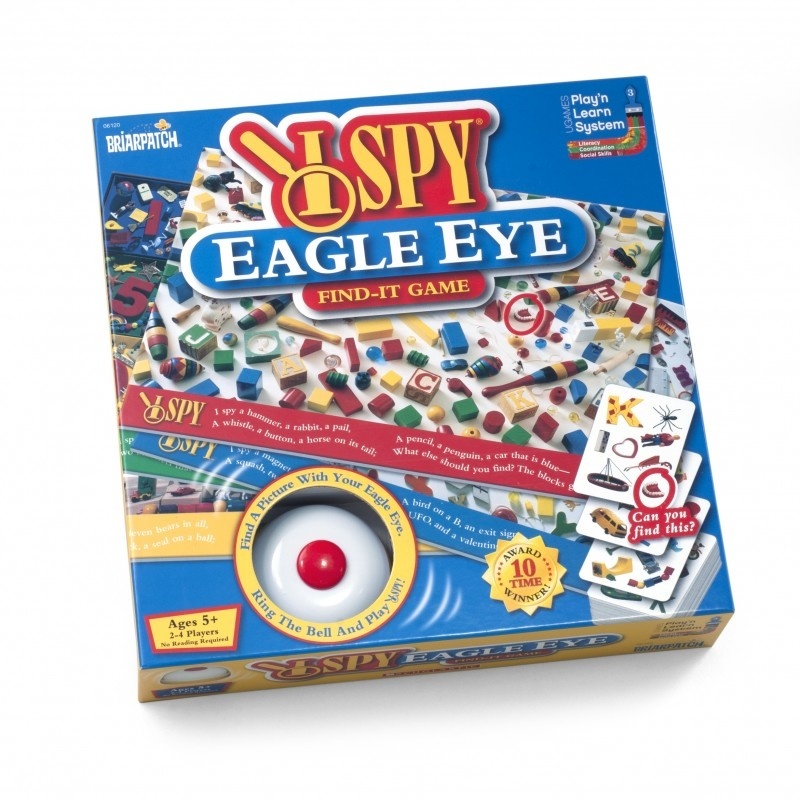 I Spy Eagle Eye encourages visual observation, memorisation and quick thinking to identify matches. This fantastic fun, family matching game is suitable for 2-4 players. Age: 5 years and over.